Hair damage can occur from any number of different sources. Hair dye, heat damage or general neglect can cause your hair to become dry and brittle. Many people will experience hair damage so badly that they fear the only way to solve it is by extreme measures. This includes cutting it all off and starting over. Before you go through any of that, consider home remedies for damaged hair instead. In this article, we will show you a number of different remedies to try at home. Each one of these remedies will come with steps to take in order to complete them. They are less expensive than salon fixes and less traumatic than shaving all of your hair off. One of the most nourishing oils around, olive oil is excellent for skin and hair. 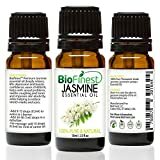 This oil is especially beneficial for those whose hair is brittle and harsh to the touch; it not only softens the hair but can strengthen it as well. This is because it is full of vitamin E. It helps to heal your locks by keeping them moisturized through the sealing of the cuticle. Massage it into your scalp for a few minutes. Wrap your hair in a warm towel. Let the towel and the oil sit for around half an hour. Shampoo, condition and then wash out your hair. Egg is full of nutrients that can hydrate the hair and nourish it, as well. It is full of minerals, proteins and fatty acids that the hair needs. At the same time, it can give you a natural, healthier shine. Alongside this, the enzymes found in the white of the egg are able to clean off your scalp more thoroughly. Apply it to the scalp and hair in a massaging motion for a few minutes. Rinse off with cool water and then shampoo and condition it in the shower. Avocado is full of a number of nutrients that are crucial to the health of your hair. These include a variety of fats, proteins, vitamins, natural oils and essential fatty acids. Not only this, but it is able to coat the hair with ease to keep it soft, flexible and hydrated. Full of antioxidants, avocado can also stop any sort of free radical damage to the hair going forward. Use half or a whole avocado depending on how long your hair is. 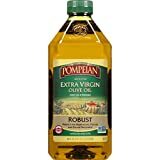 Mix it into a blender with one or two teaspoons of olive oil. Mix until it is a thin, smooth paste. Apply it to your locks for one hour. Banana is another popular natural remedy for damaged hair. It is full of fortifying vitamins, high levels of potassium, high moisture levels and natural oils. These all work in harmony to make your hair more elastic. Not only this, but bananas may be able to soften up your hair as well. Mash up a ripe banana. Apply it throughout your scalp and hair. Let it sit for an hour and then rinse it out. Mix up one tablespoon of olive oil, coconut oil and honey. Blend it with two overripe bananas. Apply to the hair as a mask and let it sit for half an hour. Coconut oil is one of the most commonly used oils for hair damage. It is full of vital nutrients good for your hair. 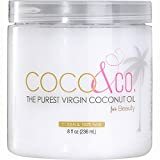 Coconut oil is also able to easily permeate the layers of the hair to get down into the shaft. This helps stop the cuticles of your hair from becoming damaged. By way of this, it can help to make your hair healthier. Massage your scalp with coconut oil for five minutes a minimum of three times a week. In the morning, wash out the coconut oil with a mild shampoo. Known as an Ayurvedic remedy, hibiscus is excellent at repairing damage done to your hair. Hibiscus is able to seal the cuticles of the hair and lock in moisture. This provides plenty of shine and luster to the hair. Not only this, but it can help soften any damaged locks. Heat anywhere between eight and 10 flowers in a cup of coconut oil. Strain the mixture and then use what is left as a hair oil. Massage it into your hair for several minutes. Let it sit on your hair for a minimum of 30 minutes before you wash it out. You can also grind up the leaves, mix them with water and then apply it to the hair. Aloe vera is known for its ability to repair not only skin but hair, too. It is full of humectant properties that can soothe dry, damaged hair. Not only this, but it is full of vitamins C and E, amino acids and enzymes. All of these are good for nourishing your hair and replenishing it. You can find aloe at any store in fresh or bottled form. Put fresh aloe vera gel or juice onto the damaged hair. Allow it to rest on your hair for at least 10 or 15 minutes. Combine the ingredients to make a hair mask. 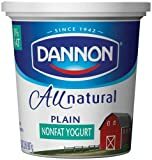 Dannon All Natural Quart Plain Nonfat Yogurt, 32 Ounce - 6 per case. 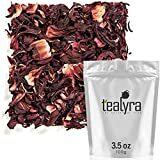 Black tea is full of vitamins C and E as well as polyphenols. Thanks to these nutrients, black tea can make your hair softer and shinier. It is ideal for damaged and dry hair alike. Full of antioxidants, it can also protect the hair from UV damage in the future. 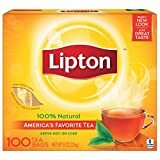 Black tea is inexpensive and can be purchased at any grocery store. Pour the hot water over a black tea bag. 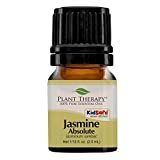 Drop in some jasmine essential oil and then let it cool. After your usual shampooing, use it on your final rinse. Leave the tea on for 15 minutes and then rinse it out with water. 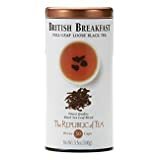 A robust blend of quality black leaves, hearty enough to make any Brit smile. 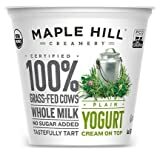 A savory mixture of India, Ceylon and Kenya leaves is great with a splash of milk. 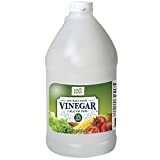 White vinegar is known for its clarifying properties. Because of them, it is able to help get rid of any built-up residue on the scalp and hair. It is also able to seal the cuticle to lock in moisture and prevent further damage. 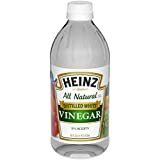 You can find white vinegar in any grocery store. It costs next to nothing, making this a totally affordable home remedy for damaged hair. Mix three cups of water to one cup of distilled white vinegar. After you wash and condition your hair, rinse it with the mixture. Rinse your hair out using warm water. Honey is a soothing remedy for your hair. It is able to nourish and soften it over time while locking in the moisture that your hair needs. Full of nutrients, honey masks are some of the most beneficial things you can do for your hair. 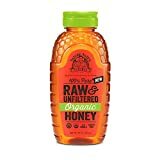 You should try to use authentic, raw honey for this mask to get the best results. Keep in mind that using honey hair masks too often can make your hair a lighter color. 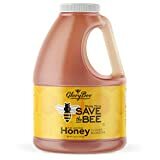 Mix a quarter of a cup of raw honey with the right amount of water to make it a bit thinner. Put this on damp, clean hair. Let it sit for half an hour and then rinse with warm water. Shampooing your hair too much can actually be a bad thing. It strips hair of the natural oils that it needs to help keep your hair healthy and nourished. One of the best things you can do for your hair is washing it with good shampoo. Parabens in most shampoos are known to damage the hair; for this reason, it is ideal if you use paraben-free shampoo. 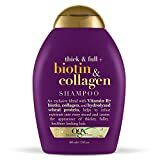 Try to only wash your hair around twice a week, three times at most with this shampoo. Wash your hair like you normally would, but use paraben-free shampoo. Try not to apply too much heat to your hair after using it. Henna is typically used for semi-permanent tattoos, but it is excellent at repairing damage to hair. When you mix henna with water and put it on your damaged hair, it can make it healthier and shinier. Henna is able to bind to important keratin in the hair by getting through to the hair shaft. It is great at thickening the hair while also strengthening the cuticles. By making hair stronger from the root, you can achieve better hair health. Thin out enough henna to cover your length of hair by putting water into it. Apply this mixture to your hair and allow it to sit for 20 minutes. 100% Natural Cassia Obovata Powder, also known as Colorless Henna Powder and neutral henna. 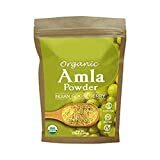 100% Organic Henna Leaves Powder. It helps fight off scalp conditions like dandruff. Henna improves Hair growth and reduces Hair Fall. Repairs and strengthens hair. Indian gooseberry has been used in Ayurvedic medicine for quite some time. One of the uses of this plant is for damaged hair. You can extract the juice or crush it up and apply it to the hair as a mask. It may also be able to promote the growth of hair. Finding Indian gooseberry will usually send you to the health food store. This is because it is typically not as common in standard grocery stores. Extract the juice from the berry or get some dried powder. Apply it to your hair starting from the scalp and covering the entire length of it. Using these ingredients, you can increase the radiance and shine of the hair. It is also a good home remedy for itchy scalp. Find these ingredients in most grocery stores or health food stores. Rub the cooled mixture on the scalp. While excessive brushing can cause damage, periodic brushing with a wooden brush can benefit it. It massages your scalp while moving the necessary oils throughout the hair. 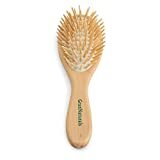 You can find a wooden brush in any department store. Brush your hair only once per day using a wooden brush. LENGTH: 8.75" WIDTH: 2.75" DEPTH: 1.25"
Damaged hair can be hard to manage and make you feel less confident. In this article, we have provided you with easy home remedies for damaged hair. What natural treatments do you give your damaged hair to improve it? Tell us about it in the comments section found below.